Introducing the world's most revolutionary action-sports POV System. The RePlay XD features a nearly zero-weight, rugged aluminum form factor chassis, combined with an integrated high resolution Camera/Recorder. The RePlay XD is a mini DVR system that records DVD quality video to a microSDHC Memory card. 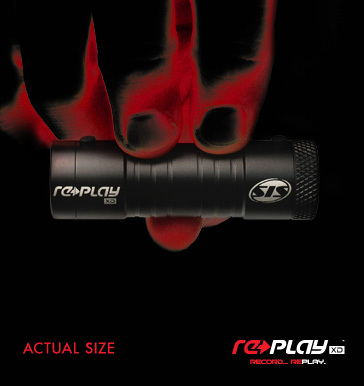 The RePlay XD is designed to be easy to use and intuitive with its simple "On" and "Off" two-button operation and vibration feedback feature. You can record video of your adventures for up to 110 minutes on a single charge and re-play what you have recorded — from your PC or Mac. It's that simple.